The Old Truck | Just Shooting Memories! There’s nothing like a truck. Everyone should have one. They are good for so many things. I think that is why this photo bothers me so much. 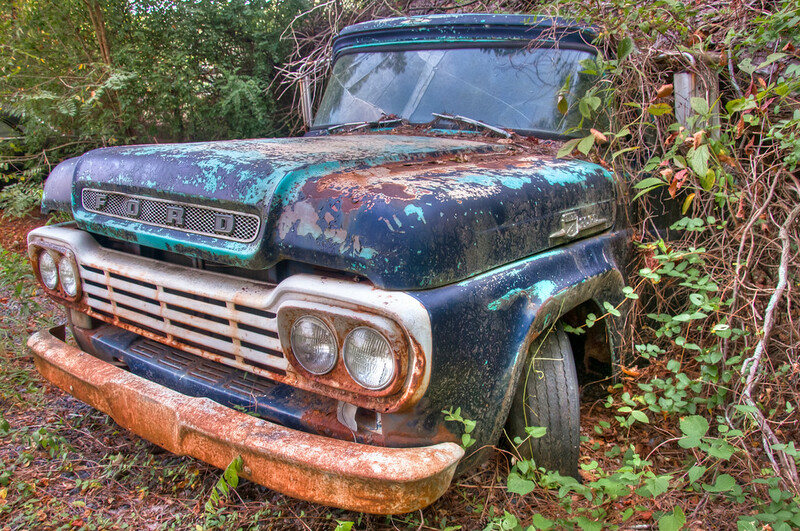 This truck has seen better days. I guess it’s load got to it. I found it parked nice and neat at Old Car City USA. Don’t let the name fool you. It’s a glorified junk yard. However, for someone like me, it is tons of fun. With miles of trails winding between old cars like this, there are lots of photographic opportunities.